Paul Berry’s new book is a perfect addition to your Doctor Who collection. 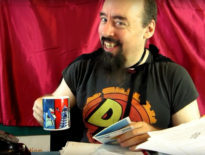 His Doctor Who Memorabilia tells the story of collectables from the Classic 1963- 89 series of Doctor Who, looking at Books; Toys, Models, and Games; Audio Visual; Comics and Magazines; Sound; Cards; and Collectors’ Items. DWC: Hi Paul. So how did the book first come about? Paul: I’ve been running a Facebook page called The Doctor Who Collectors Archive for the past few years where I highlight items from my collection. I was approached out of the blue last year by Amberley books who asked me if I’d like to write a Doctor Who collectables book for them despite me never having had a book published before. This was in a way a coincidence as I had been thinking about writing something on similar lines for a while now but never got round to it. I remember 20 years ago starting work on a merchandise price guide which I was going to publish as a fanzine but that never got off the ground, so you could say the idea has always been there bubbling away. DWC: There’s a mass of Doctor Who merchandise on sale, so how did you decide what to cover? Paul: There was never any realistic prospect of covering everything. Time and page count constraints prevented this so it was a case of narrowing it down to core items and the rarer and more interesting ones. 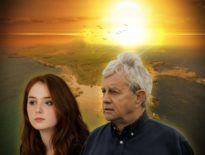 An early decision was taken not to feature the new series; I felt there was too much merchandise and a lot of it was still readily available so we would only be paying it lip service if we included stuff. It was felt the space could be better used for items with more nostalgia appeal. DWC: The book is filled with gorgeous images. Was it always the plan to include full-colour pictures? Paul: I think the strength of the book is the images and the ability to really showcase some of the merchandise; it was always planned that the book would be in colour. I knew the book would be compared with the Transcendental Toybox, a very handy reference guide which I own myself and of course covers just about everything, but most of the images in that book were small and in black and white. Our book provides a contrast in that, although we aren’t a completists’ guide, we really show some of the items off to their full potential. The book is also more of the story of Doctor Who collectables rather than lists of product. I deliberately avoided the idea of it being a price guide as values are all over the place these days especially with eBay. DWC: Did you take all the photos yourself or did you manage to track other people down who have rare merchandise? Paul: 90% of the items are from my own collection and were photographed by myself. Unfortunately, there were items that I knew needed to be in the book that I didn’t own so I put a call out through my Facebook page and on the Outpost Gallifrey forum and I was quickly contacted by collectors who obliged with images. There were only a handful items that I had hoped to include that I wasn’t able to source in time, so overall I was very lucky with the response. DWC: How did you start collecting memorabilia? Do you have a specialty? Or something else that holds a special place in your heart? Paul: I started collecting Doctor Who memorabilia seriously in 1986; prior to that I had just bought the occasional item. I was 12 back then, so there were a lot of other distractions such as Star Wars, Masters of the Universe etc. 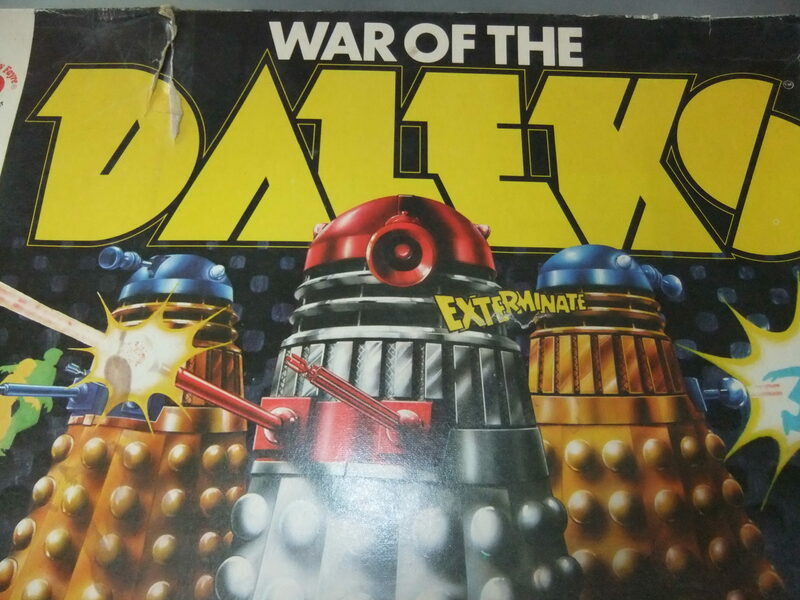 I went through a phase of collecting Marvel comics and gradually began buying every UK title they published which of course included Doctor Who Magazine – ironically, this was in the middle of the 1985 hiatus. But from reading the magazine my interest in Doctor Who was rekindled and then the series came back with the Trial of a Time Lord and it turned into an obsession. I dropped all the other Marvel comics and sold off my Masters of the Universe figures. 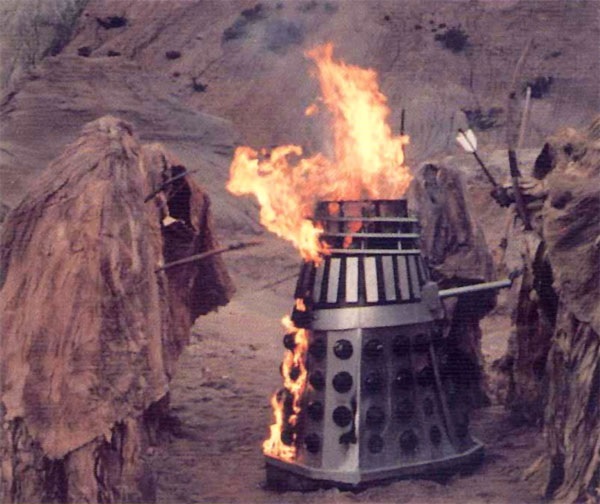 I remember the funds from my entire Masters collection being used to fund the purchase of a Death to the Daleks video. Ironically, I was getting into the series and being super enthusiastic when all the older fans seemed really jaded and fed up with it. Back in those days, I didn’t really have a focus: I just used to collect everything I could afford with Doctor Who on it. Pocket money and a paper round would usually be enough to cover DWM, the Target books, the videos, some fanzines, and other odds and sods. Nowadays, it would be impossible to be that sort of level of completist – there’s just way too much. I think modern fans are much more focused; they’ll just do action figures or books or DVDs. I don’t think there’s much of a market now for the modern equivalent of those little oddities that we used to lap up like Weetabix cards, jigsaws and such like. There’s too much other stuff to keep people occupied so that sort of thing gets bypassed by collectors. Nowadays, my real only focus is classic series only, apart from the odd new classic item like issues of the Doctor Who Figurine Collection, occasional Character Options classic action figures; it’s just a case of plugging gaps. I’m still some way off, but have a list of items I would like to own and think it is attainable. I have had to accept that a lot of the 1960s toys I will most likely never own; they’re just way too expensive and getting rarer all the time. DWC: What one piece of merchandise would you love to add to your collection? Something that’s remained elusive? Paul: There’s a few. It’s sometimes not just a case of finding an item but finding it in decent condition. I’m very particular about condition and have a minimum standard I will accept. The 1973 and 1974 Holiday specials from Polystyle have eluded me for years. They come up on eBay every so often but are always creased and battered beyond belief. It’s not that I won’t pay good prices – it’s just that they never come up in a condition I’d be happy with. I live in hope that someone somewhere must have looked after copies. The one piece I definitely have on a wish list – but is a bit out of my price league at the minute – is a full size This Planet Earth TARDIS, preferably the William Hartnell version. Hopefully, one day, I’ll be in the position to take the plunge and get one. 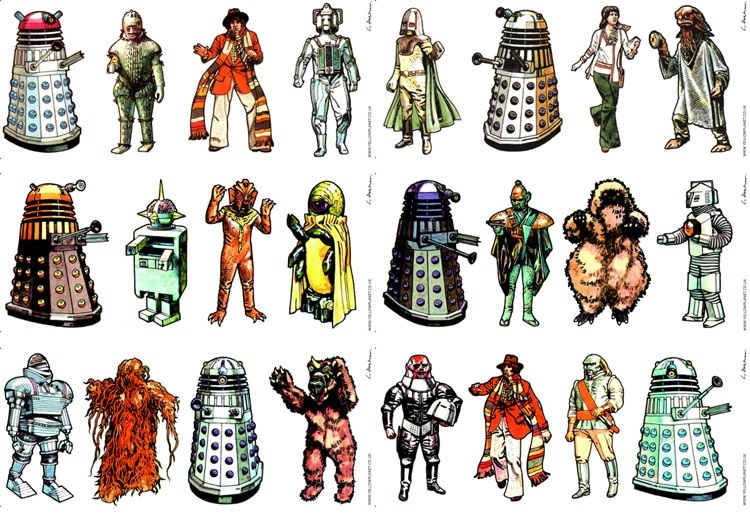 DWC: Your book focuses on the Classic 1963- 89 series; are there any plans for a follow-up, to cover 2005- present? Paul: There’s nothing concrete planned at present. I suppose it depends on how this one does. I’m currently doing a Star Wars book for them which will keep me occupied till the end of the year. Although I would be happy to write a book on the new series, it wouldn’t be such a passion for me as believe it or not I don’t actually watch the series anymore. I was never really fully won over by it when it came back in 2005 but I stuck with it and continued collecting the merchandise. It was around the end of David Tennant and start of Matt Smith where I went really sour on it and eventually had to tune out, it was annoying me so much. I watch the odd episode now and again to see if things have picked up, but always see a pale shadow of the show I grew up with. I sold most of my new series merchandise off years ago so sourcing images of it all would be difficult. But you never know – stranger things have happened. I also have a potential idea for a future book based on a subsection of Doctor Who collectables that would include new series items as well, but that’s some way off at the moment. 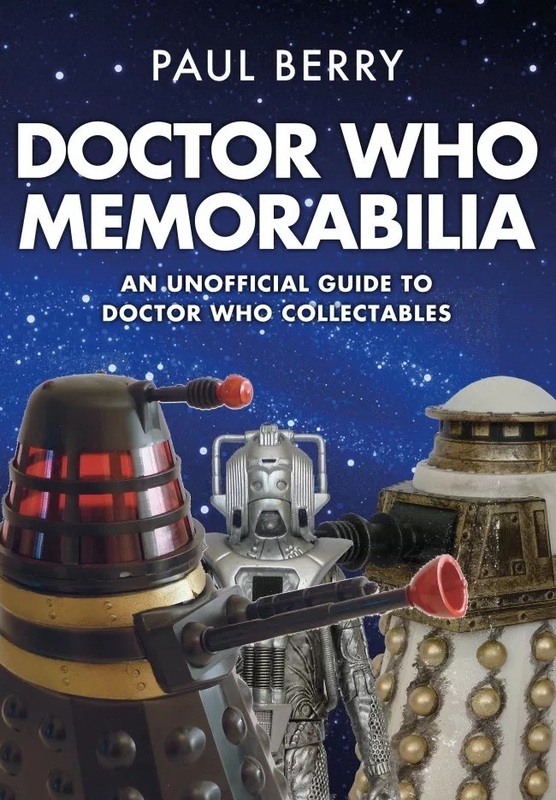 Doctor Who Memorabilia: An Unofficial Guide to Doctor Who Collectables is out now from Amberley Books at the special price of £13.49. ← The Master, Missy, and the Cybermen in The Doctor Falls Gallery!